Our “Peppermint Eucalyptus Lavender” Honey Cream is created using raw honey, distilled water, sunflower oil, shea butter, emulsifying wax, vegetable glycerin, propylene glycol, vitamin E, rosemary leaf extract and pure essential oil of peppermint, Eucalyptus and lavender. Some of the many benefits of Pure essential oil of Eucalyptus can assist in; skin infections, processes effective anti-microbial properties, reduces body temperature while feeling feverish and simply smells wonderful! 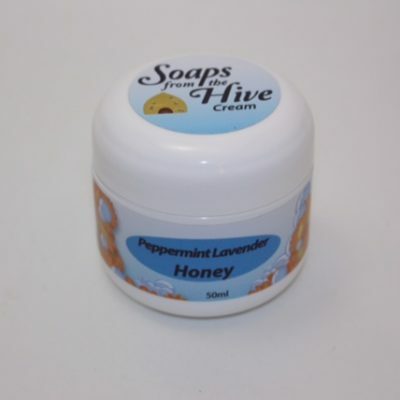 WE DEVELOPED OUR “PEPPERMINT EUCALYPTUS LAVENDER” HONEY CREAM TO RELAX, REINVIGORATE AND REPAIR DAMAGED SKIN CELLS. DEEPLY MOISTURIZING WHILE SOFT AND DRY TO THE TOUCH! Love love love! 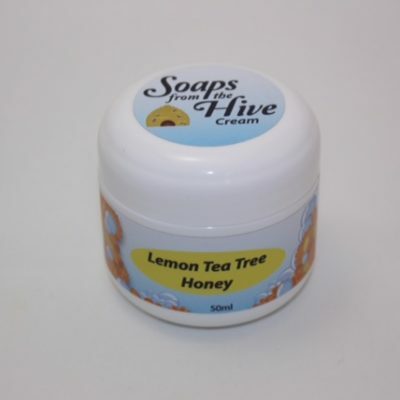 This cream has the most heavenly smell and is amazing on my dry hands during the winter months. So glad to hear your loving the Peppermint Eucalyptus cream Katherine. You’ll have to try some of the other scents we have.